I’ve been wanting to make this anatomically-inspired heart for a while now. This great pattern can be found on Ravelry and Knitty. I used Artyarns Cashmere 1-ply from a previous lace project. So soft, it’s like knitting with water. My friend Paul is dating the nicest man, Christopher, who is a physician in Seattle. 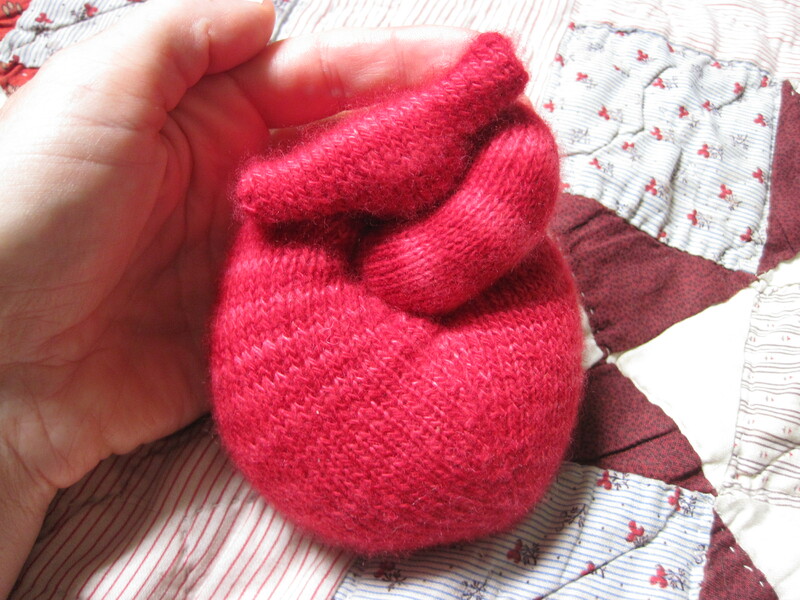 He happened to visit town while I was knitting this and he told me that this heart is the size of a 12-year-olds. I think this is supposed to be the ventral aspect (maybe?). Which makes this the dorsal aspect? 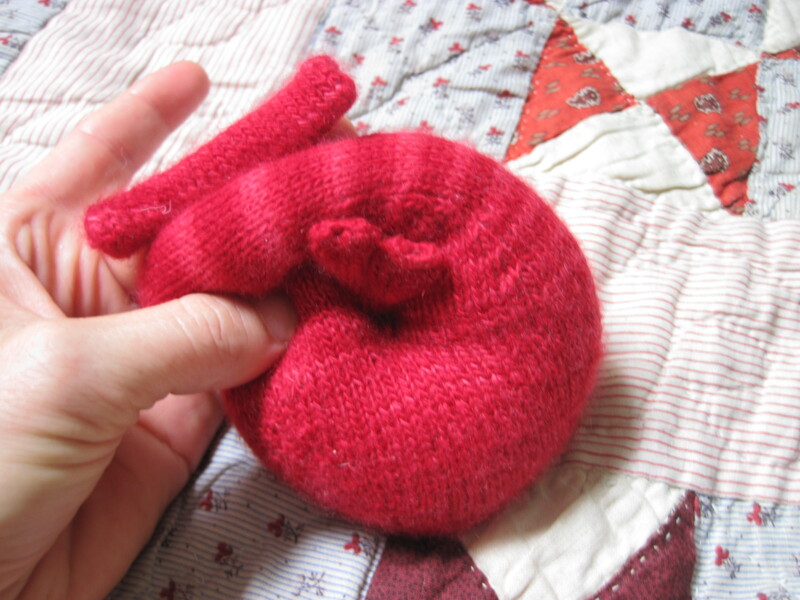 I knit this for a friend back in Salt Lake City, a lovely woman I used to work with. She was recently diagnosed with breast cancer. I wanted her to know how much I love her.